31.05.2013 (Hvino News). 18 Georgian wine brand names and 3 mineral water brands have been officially registered in Kazakhstan, according Sakpatenti, the Georgia's patent office. According to the information, the registration process began last year and was successfully completed after several months. Kazakhstan's state enterprise «National Institute of Intellectual Property» has issued the document certifying the registration of names of 18 wines and three mineral waters. The registration provides opportunity for authorized companies and physical entities to use names of Georgian wines and waters in Kazakhstan. 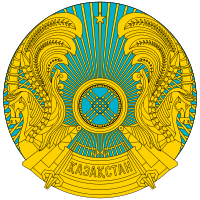 This measure will prevent the illegal use of the Georgian names of wines and mineral water in Kazakhstan. 30.05.2013. Dugladze Wine Company is celebrating its imminent return to the lucrative Russian market after a seven-year lockout. Russia imposed an embargo on Georgian wines in 2006 on the grounds that they were contaminated with heavy metal and pesticides. Dugladze, which exports mainly Saperavi and Khvanchkara wine brands, will be the first Georgian company to return to the Russian market, the clearly elated head of the Georgian National Wine Agency, Levan Davitashvili, announced. “The Russian Federal Customs Service has accepted the application of that company” which means exports may begin this week or next. 29.05.2013. Products of the leading Georgian wine exporter Tbilvino should be available to Russian consumers by the end of summer 2013. “We have already signed several contracts and hope that by the end of the summer our wine will once again be available to our Northern neighbors,” Giorgi Margvelashvili, President at JSC Tbilvino, told The Financial. Tbilvino became the leading Georgian exporter for the fourth time in 2012. The company had 10% sales increase in comparison with the previous year. Slightly more than 3 million bottles were produced last year. Until 2006 the Russian market was the dominant one for Georgian wine exporters, but will now become the next “new” market that Tbilvino will enter. 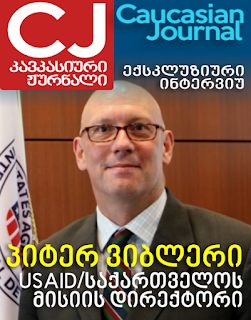 In his exclusive interview Margvelashvili talked about the effect the government changes have had on his business. 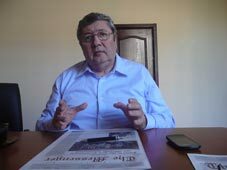 Q. Mr. Zura Margvelashvili was one of the first representatives of Georgian business to complain about the previous government to the newly-elected PM Ivanishvili. Have you felt a sense of relief under the new government administration? 28.05.2013 (Hvino News). Over 100 samples of Georgian wine products and mineral water have gone through state registration in Russia. "The Moscow office of Rospotrebnadzor [Russian consumer rights watchdog] has issued 104 state registration certificates to seven Georgian alcohol producers and two mineral water producers on the results of laboratory tests," Rospotrebnadzor posted on its website on Tuesday in a document entitled "On Interaction With Transcaucasian States". The watchdog said that Georgia's 19 alcohol and two water producers had filed 245 applications for state registration in Russia. According to the information of Rospotrebnadzor, 65 Georgian wineries and four mineral water producers have been permitted to supply documents for state registration in Russia. Earlier Hvino News reported that supplies of Georgian Borzhomi mineral water have already been resumed. 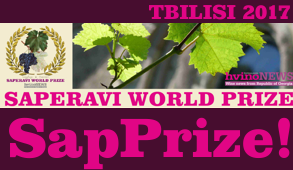 The International Wine Challenge 2013 (IWC), London, UK: our “Saperavi” won the title “Commended”. Decanter World Wine Award 2013, London, UK: there were presented two types of wine, “Shumi” red dry and “Mukuzani” red dry. Both of them won Bronze Medals. 20th Concours Mondial de Bruxelles held in Bratislava, Slovakia: Shumi took part in this competition with “Mukuzani” red dry which won Silver medal. 24.05.2013. It's the third Monday in May. I'm in East London, in a barn of a building, buzzing with wine producers, press and trade. There's a palpable sense of excitement throughout the room. No, I'm not at the London International Wine Fair. This is the second edition of Isabelle Legeron MW's RAW Fair, which in the space of just a year seems to have established itself as London's biggest celebration of small-scale, artisanal winemaking. So what, you might ask, does that really mean? From the horse's mouth: “RAW celebrates wines with emotion. Wines that have a humanlike, or living, presence. They are also wines that are an authentic expression of a place”. Many of the fair's visitors would be comfortable to sum this up as “natural wine”, but RAW have bravely attempted not to fall back on such a slippery term. 24.05.2013. JSC “Château Mukhrani” proudly announces the winning of a Grand Gold Medal for “Reserve Du Prince” 2007 in “Concours Mondial 2013“. The Company Château Mukhrani is continuing the historical traditions of wine-making in Mukhrani region. This is the first and the only true Georgian Royal Chateau, which unites four key components: vineyards, winery, castle and history. Reserve du Prince Saperavi and Goruli Mtsvane are the finest and most exclusive wines of Château Mukhrani. 24.05.2013. This is the second part of Jacques Fleury’s analysis. The first part was published last week (read here). We can safely assume that there is little awareness of the Georgian wines outside the ex-USSR region and the ex-USSR immigrant communities in the West. My own research in the largest import market in the US convinces me that less than 1% of the potential wine consumers are aware of a country called Georgia (they first think of the State of Georgia), producing wine and furthermore being at the origin of the wine history. 24.05.2013 (Hvino News). The 2013 Decanter World Wine Awards (DWWA) results were officially announced at the London International Wine Fair. Judges at this year's DWWA tasted a record-breaking 14,362 wines and awarded nearly 10,000 medals. 23.05.2013 (Hvino News). Dugladze Wine Company, exporting in particular Saperavi and Khvanchkara wine brands, will be the first Georgian company that will return to the Russian market after an embargo imposed in 2006, the head of the Georgian National Wine Agency, Levan Davitashvili, told the Russian Izvestia daily on Wednesday. “The Russian Federal Customs Service has accepted the application of that company” which means exports may begin within the next two weeks, Davitashvili said without concealing his joy. This is the precedent that other Georgian companies seeking to return to the Russian market have been waiting for, he said. “Dugladze Wine Company was set up in 2004, and was quite actively supplying wines to the Russian market before the embargo was imposed - almost 200,000 bottles a year,” he said. Now the company exports seven wine brands - Saperavi, Khvanchkara, Kindzmarauli, Tsinandali and others - to the United States and Europe. An average export price is four to five dollars per bottle. “In time we expect to export to Russia our sparkling wines and brandies,” Dugladze’s manager Manana Akhvlediani said. 23.05.2013 (Hvino News). After a seven-year embargo, Russia has allowed a shipment of Georgian Borjomi mineral water into the country, a move commentators in Moscow see as a sign that political tensions between the neighboring countries are easing. Moscow banned imports of Borjomi water, Georgia's third-largest export, in 2006 in response to the policies of then Georgian President Mikhail Saakashvili, a critic of the Kremlin. The official reason given for the ban was alleged poor hygiene standards. Two trucks with water from the Georgian spa town were on their way to supermarkets around Moscow, the Russian customs agency said on Wednesday. "We have delivery contracts with all retail networks in Russia, and at the beginning of June Borjomi will appear on shelves, - IDS Borjomi Russia's general director Alexander Zhadanov said yesterday. It is expected that Georgian wine, which enjoys a very strong reputation in Russia, also banned in 2006, will be allowed to be imported again soon. Relations between the two countries have thawed since the victory of Bidsina Ivanishvili in last year's parliamentary elections. 22.05.2013 (Hvino News) The results of International Wine & Spirit Competition 2013 have been announced at this week’s London International Wine Fair. Georgian wines have received 33 silver and bronze awards of this prestigious wine contest, which is 9 medals more than in last years's IWSC (24 medals were won by Georgia in 2012). Among 2013's winners two red wines were awarded with special Silver Outstanding Awards: Marani Kondoli Vineyards Saperavi 2010 and Mossano Teliani Valley Cabernet-Saperavi 2011. 22.05.2013. The American Times sits down with Levan Davitashvili, Chairman of the National Wine Agency, to get an understanding of what their function is as the head of Georgia’s most precious commodity and what markets represent opportunities for wine lovers and investors alike. What is the role of the National Wine Agency in Georgia? The National Wine Agency is a state regulator for the Georgian wine industry and grape production and operates under the Ministry of Agriculture. It’s founding is accorded by Georgian law regarding wine and bottled wine which is rooted in EU wine making standards. Although modern we are currently making amendments to the law in line with EU changes as well as our own specific modifications. More specifically we control the stock’s quality, certify products for export and monitor quality in local markets. This encompasses the administrative work the agency conducts. The secondary function is in promoting the Georgian wine industry regionally and throughout the word. Since there are so many private producers of wine or very small companies that produce wine, how big of an issue is the quality control? Every winemaker needs to be registered with the agency. Regarding exports, the controls are very strict; no wine can enter the export market without checking labels and meeting our standards. Every wine should be traced to the grape it was made from and the vineyards it came from and which harvest yielded the product. As part of those quality control regulations we also administer tasting control. Based on those three parameters we then issue a certificate of origin and certify wine for export. 21.05.2013. USAID-financed Economic Prosperity Initiative (EPI) organized a tour for Ukrainian journalists to promote wine tourism in the country. A group of 20 journalists from the leading Ukrainian media outlets arrived in Georgia to become familiarized with the country’s potential in the wine tourism industry. The guests are to visit Chateau Mukhrani and major wine tourism destinations in the most famous places of Kakheti. The group will visit wineries producing wine by traditional Georgian methods; later the group will make short documentary films, draft articles and blogs covering their visit to Georgia. This will serve as a good promotion in advertising Georgia’s tourism potential. The group will stay in the country for three days. The information was disseminated by the EPI. 19.05.2013. Homemade wine lovers in the UK have an opportunity to taste wine produced in qvevri - traditional Georgian wine making tool. 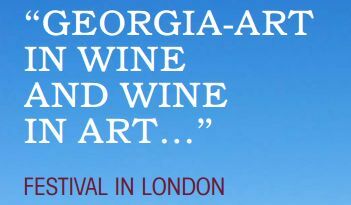 The testing is arranged at the RAW Artisan Wine Fair on May 19-20 in London. The Georgian stand at the RAW displays over 150 growers and is sponsored by the Georgian National Wine Agency, a state funded organization responsible for assisting the development of the wine sector and organizing promotional events to increase international awareness. 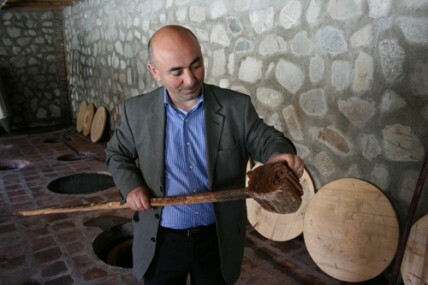 Irakli Cholobargia, Director of the Marketing Department of National Wine Agency, thinks that the interest towards Georgian wine is increasing each year. “The first RAW exhibition was held last year, and our companies participated in it; so this year, the organizers sent invitations again,” he told Georgia Today. “It is a homemade wine exhibition, which means that only small companies can participate; in total we sent 15 varieties of wines from verious wineries including Jakeli wines, Shavnabada Monastry products, Nika’s Wine and Pheasant’s Tears,” he added. 18.05.2013 (Hvino News) Although it may seem an odd topic for this blog, I would be remiss to write about my Fulbright experience in Georgia without mentioning wine. To be sure, in the United States, I enjoyed a nice bottle of chardonnay, but never have I experienced the variety of wines, the passion of the winegrowers, the dominance of the grape in a culture, and the inclusion of this important commodity into so many components of the Georgian way of life. When my husband and I first arrived here, we were driven from Tbilisi to Telavi through gray, wintery villages, with hectares of stark grapevines lining nearby vineyards. When we moved into our home in Telavi a few days later, we noted many dark brown, dormant grape vines bordered the yard, as were all our neighbor's homes. As spring came, what a change occurred in the landscape... light purple violas popped up in our yard, pansies appeared in the local parks, villages were no longer dominated by gray, but by the green grass in nearby fields where baby lambs and their mothers romped, by blossoming fruit trees, and by villagers pruning grape vines. Billows of blue smoke could be seen where the villagers sat by the grape vine fires, cooking skewered chunks of pork over the coals of the burning prunings of the grape vines. Georgians insist that the smoke from the grape vines give the skewered barbecued pork a distinctive, delicious flavoring, and I have to agree. 17.05.2013. Early on the morning of Saturday May 11 at the scenic, mountainous Ethnographic Museum over two dozen Georgian wineries and a worthy contingent of producers of homemade wine set up camp, and before long the 4th New Wine Festival was in full swing. Thanks to the Wine Club, the National Wine Agency, and Tbilisi City Hall, admission – and wine! - was free. Does public service get any better than that? A grateful, goodly throng of Georgians and foreigners turned out, to bunch around tasting booths and stand shoulder to shoulder before the lengthy barbecue where smoky, savory mtsvadi was being prepared. Served up on a wooden skewer five juicy hunks of meat, each larger than a golf ball, though smaller than a baseball, cost a mere ten Lari. 16.05.2013 (Hvino News). Georgian wine and spirit producer Askaneli Brothers asks for an explanation from Russian state agency Rospotrebnadzor regarding its recent statement. 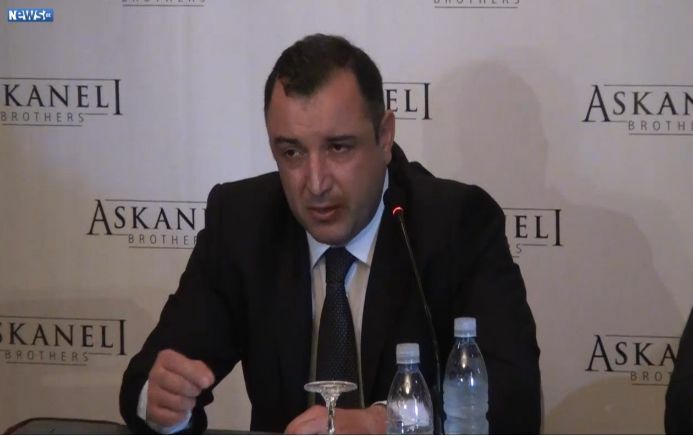 At today's press conference held at Courtyard Marriott Hotel in Tbilisi, Jimsher Chkhaidze Askaneli, one of the founders of Askaneli Brothers said the company asked Gennady Onishchenko, Russia’s Chief Sanitary Inspector, to explain the spread information about quality of brandy produced by Askaneli Brothers. “Information was spread that Gennady Onishchenko criticized the quality of brandy produced by Askaneli Brothers. It’s obviously a misunderstanding. We are proud of our brandy, which is sold not only in Georgia but in 15 other countries, where it has a state certificates and is very popular among consumers. The brandy has received gold and silver medals for its quality. This is why we immediately addressed Gennady Onishchenko for official explanation. 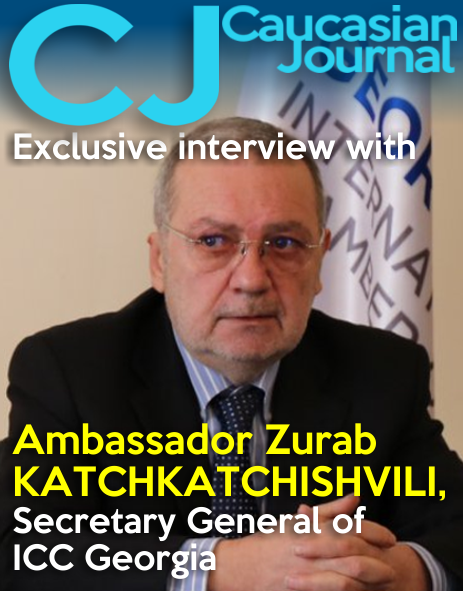 We are waiting for a response, but we are sure that it is a misunderstanding,” - said Jimsher Chkhaidze Askaneli. Rospotrebnadzor's experts visited Askaneli Brothers during inspection trip. According to Irakli Bekauri, general director of Askaneli Brothers, products given to Rospotrebnadzor underwent three phases of quality control inspection: production process, plant laboratory and independent laboratory. Samples were taken from the series that are exported to different countries, including EU. We have never been criticized by officials or consumers for brandy quality so far. However, we are ready to undergo inspection again, and we have mentioned that it in our official letter to Gennady Onishchenko,” he stated. 16.05.2013. We are very happy to host on our blog a commentary by Jacques Fleury, the person behind the resurrection of Borjomi and a key player in the Georgian wine industry. Jacques reflects on the experience of surviving the Russian embargo, on the one hand, and dealing with a series of heavy-handed and incompetent government interventions, on the other. 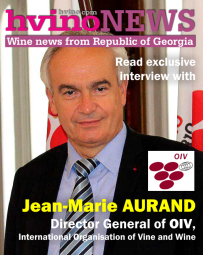 In the second part of his comment, to be published next week, Jacques also proposes a new vision for the future of the Georgian wine industry, a future in which the government and the private sector work hand-in-hand to support small vine growers and promote Georgian wines to new markets. In his expert opinion, Georgia has the potential to get on the world wine map given its unique history and existing grape varieties. However, this will not happen without a properly orchestrated marketing communication campaign, which not a single Georgian company can undertake on its own. During the last 7 years, the Georgian wine industry, always dependent for 80-90% of its sales on export markets, has been hit by a succession of economic and political disasters. 14.05.2013 (Hvino News) According to the Georgian National Wine Agency total of 1,689,749 liters of wine (0.75-liter bottled) was exported to 30 countries in April, 2013. The overall export as of April amounts to 5,071,158 liters, being 32% higher vs last year same period. Five leading export destinations of Georgian wine are as follows: Ukraine, Kazakhstan, Belarus, Latvia and Poland, where Ukraine holds 43% of the total volume of exports. There was a significant growth of export in Latvia and Poland in April 2013: 38% and 34% respectively vs the same period last year. 13.05.2013 (Hvino News). Russian sanitary service refused to register five types of Georgian brandy produced by one of the Georgian companies for supply to the Russian market. "This is not even a brandy. I would call it a serious call from the past" - said Gennady Onishchenko, chief of Russian sanitary service. 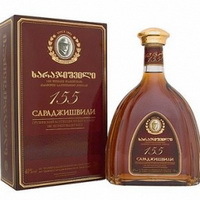 According to him, Russia's Rospotrebnadzor refused to register five types of brandy presented by Georgian company Askaneli Brothers. At the same time, the state Russian agency has approved nine types of wine from the same manufacturer. "While 9 types of their wine have passed through, their brandy was completely rejected. The samples which they provided does not even contain cognac spirits" - said Mr. Onishchenko. 13.05.2013 (Hvino News) The British Georgian Chamber of Commerce (BGCC) arranged a presentation of Cleassens International, a leading UK design agency with over 30 years experience and extensive knowledge of the spirits, wine, brandy/cognac, beer, liqueurs, juice and water markets. “Georgian wine is wonderful and of a high quality. Now Georgians need to work how to make it a distinctive, identifiable brand in the international market,” remarked Elena Getman, Cleassens International CIS Operations Director while showcasing world brands and trademarks like Johnnie Walker, Guinness, Bacardi, Gallo, Melini, and Havana Club – all created and developed by Cleassens International. “We strive to provide our clients with outstanding creative and strategic solutions that communicate directly with the consumer and our expertise is founded upon helping to create and develop brands and products that hold a unique identity and are powerful portfolio assets,” said Getman. It is of note that the Georgian company Bagrationi already has experience working with Cleassens International as the company’s label has been designed by Cleassens International’s design and trademark specialist. According to Mako Abashidze, BGCC director, another wine company Teliani Valley is also interested in collaboration with Cleassens Internationals. 12.05.2013 (Hvino News) The 4th New Wine Festival was opened at the open-air Ethnographic Museum in Tbilisi on Saturday. 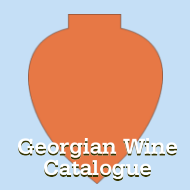 About 30 Georgian wine companies and 40 wine cellars are participating with their products, offering unique opportunity to taste wine from all regions of Georgia. The Festival is organized by Wine Club with support of Tbilisi City Hall and National Wine Agency. Gigi Ugulava, mayor of Tbilisi, attended the Festival’s opening. The festival aims at popularization of different kind of wines and activities of private entrepreneurs. 11.05.2013 (Hvino News). 34 Georgian wines are competing at The Concours Mondial de Bruxelles, which is being held on May 10-12 in Bratislava, Slovakia. 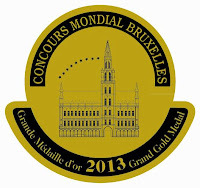 In total, 8,200 wines from 50 producer countries are presented at The Concours Mondial de Bruxelles, which is set to break new records for number of wines entered by producers across the globe and for the ever-increasing range of judges. France remains the leading participating country with 2,489 entries. Ranking second is Spain with almost 1,700 entries. Next come Italy and Portugal with 1,052 and 803 entries respectively, followed by Chile. 10.05.2013. Who can tell about Georgian traditions of feast and Georgian wine better than a true toastmaster, an expert in the history and origin of famous toasts? Solomon (Bichi) Tezelishvili is not only a professional toastmaster, but the author of many books about the culture of the Georgian feasts, way of life, mythology and philosophy of different centuries, legal benefits and unique Encyclopedia of aesthetics. 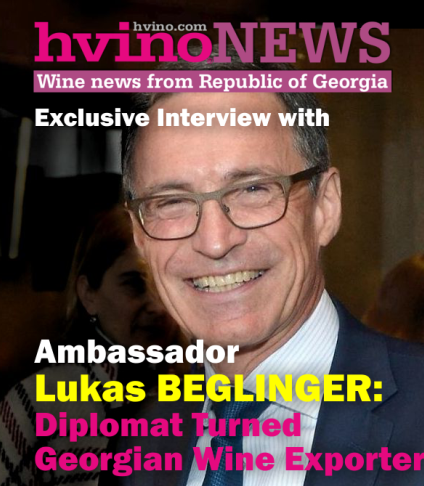 He has told GeorgiaTimes the whole truth about Georgian wine. - Today, the phrase "Georgian feast" has become the personification of hospitality of the Georgian people. How was the culture of doing the Georgian feast born? 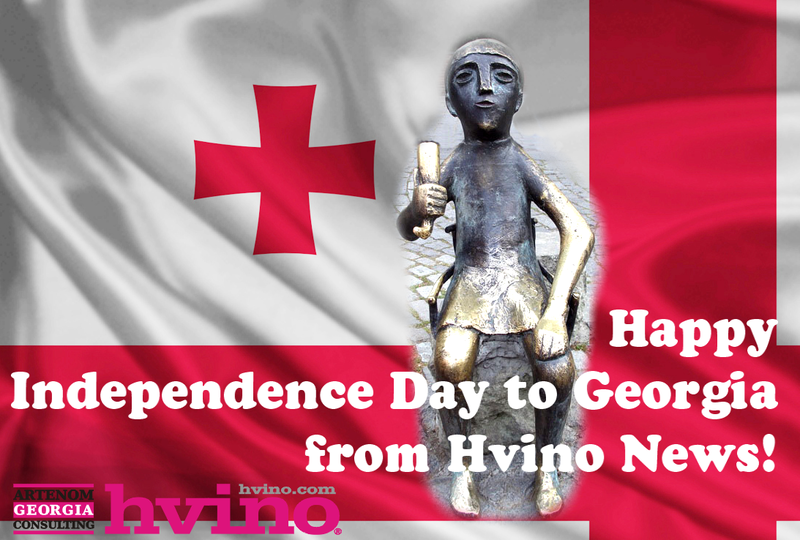 - Georgia is one huge feast, a gift of the ancestors who have taught us to abide all the rules of conduct at the table. 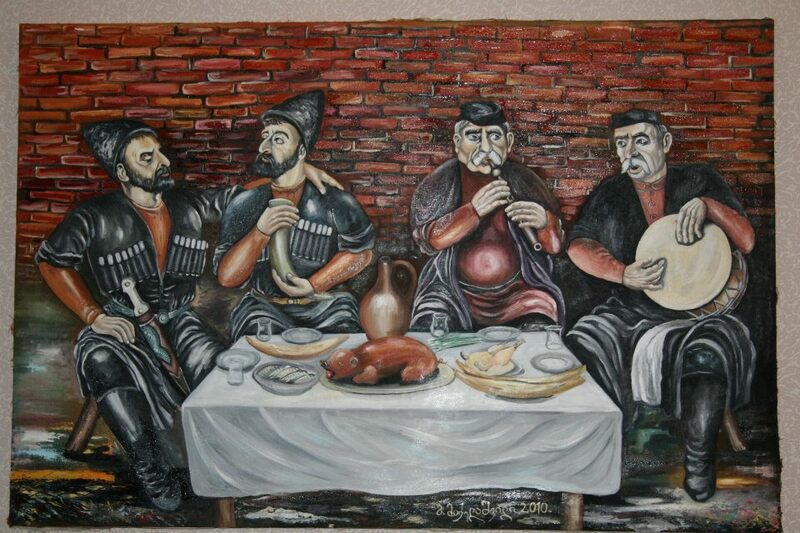 Georgian feast is as much art as our past history. In Georgian mythology the land, the grapes and the sun are closely tied, all depends on each other. The vine in ancient times was considered a symbol of life postponing the death. In Georgia, there was a pagan custom: a woman could not touch the vessel in which the wine was fermenting; she also could not wash the wine dishes. She was allowed to touch these wine vessels only if in the house there was no adult male. It was allowed to pour the wine only remembering the deceased; today this tradition has remained only among the Georgians: remembering the deceased we pour a little wine is bottled on food and bread. - Which country is the birthplace of wine? 09.05.2013 (Hvino News). According to the head of the National Wine Agency Levan Davitashvili, Georgian wineries, which have been registered in Russia, will be able to deliver their products to the Russian market by the end of this month. "The companies are expecting to receive excise stamps from Russia; as far as we know, we will get the response of the Russian Federation on this issue after the the May holidays, about the middle of the month. Thereafter, the companies that have completed the registration process start shipping their products," said Davitashvili. In the near future, he said, "relevant departments of the two countries will complete the registration of all necessary documents." "After that, it will be possible to resume exports of honey, fruits, and hazelnuts to Russia", he added. Dr. Giorgi Dakishvili of Schuchmann. 08.05.2013. It was gold in colour, though a little deeper than usual: the colour of my grandmother’s wedding ring. The aromas rolled out like a slow wave at the end of a great ocean: sinuous, seamless, grand. There was wax, incense, menthol, crushed walnut, cheese nestled in straw; there were summer fruits left out on an old stone wall until they had very nearly dried rigid, with just a little acid-spangled fructose left in them. The wine was banquet-like, but not a waterfall of flavour, as Montrachet is. This was, more literally, a knife-and-fork enterprise; the tannins fell softly, like wet snow. It was chewy but gentle, weighty yet lifted, gristly, quietly garrulous. 07.05.2013. The explosive popularity of so-called orange wines among trendsetting sommeliers has been questioned of late. Critics dismiss them as faddish, extolled for their novelty, rather than their quality. Yet, despite all of the hype (both pro and con), the jury’s still out for the majority of American wine drinkers, as they’ve never tasted them. To make most modern white wines, the grapes are crushed, and the solids are quickly separated from the juice to maintain the wine’s pale color. Orange wines are white wines produced more like reds, with prolonged maceration of crushed grape skins and seeds. Often made in clay vessels or wooden barrels, they are relics of ancient winemaking traditions that trace back to the Caucasus. They’ve been popularized recently by Italians and Slovenians, and are produced today by enterprising winemakers worldwide. 06.05.2013 (Hvino News). The Emerging Regions Tasting, the new platform for showcasing new quality wine producing regions around the globe to the UK trade proved to be a very successful event. It took place on May 1 in central London. The Georgian wine industry was represented by Georgian Wine Association (Bagrationi 1882, Schuchman Wines, Tbilvino, Winery Khareba) and Marussia Georgia (Chateau Mukhrani). Patricia Stefanowicz MW, managing director of Freshly Crushed Wine Consultancy, said: "Fascinating range of countries, wonderful wines! It was amazing to explore exciting wines from Armenia and Georgia. A very good event overall..."
The new tasting for the wine industry provided an excellent opportunity to connect producers as well as importers, distributors, agencies and generics with buyers, looking for interesting and diverse wines to hand-sell through their independent restaurants or retail outlets or other buyers, seeking commercially viable wines for multiple retail. With fantastic visitor numbers and positive feedback from the trade, it is proof that the wine industry needs to keep an eye on new regions, offering exciting wines for buyers seeking something new and different. Our publication Hvino News was the official media partner of the event. 04.05.2013. After acting as the premium sponsor for the 5th conference held in Zagreb, Croatia last March [click here for details] , it has been announced that Georgia will be the host of the 6th annual International Wine Tourism Conference (IWINETC) being held next year from March 28-29. Organized by Wine Pleasures, IWINETC is the most meaningful international wine tourism event of the year, which includes talk programs, professional speakers from around the world, journalists, bloggers, photographers and tour operators. The conference aims to commercialize wine tourism products thanks to a one-day wine tourism workshop. During the conference at Zagreb, Georgia held a special presentation to show the trends and developments of the wine sector in the country, in addition to showing that Georgia has the appropriate infrastructure needed for wine tourism. It was noted that in recent years Georgia has made serious improvement in the growth of this type of tourism. 03.05.2013 (Hvino News). The American company Optima Group Inc. accuses Sarajishvili of failing to comply with contract terms, according to information from Eristavi Legal Group, which represents Optima Group. According to reports, in 2011 Optima Group and Sarajishvili signed the agreement which granted exclusive rights to Optima Group to export Sarajishvili products to Russian Federation. The general agreement defined the obligations of the parties and granted rights the violation of which provides for certain fine sanctions. "Optima Group fulfilled all its obligation that cannot be said of Sarajishvili, which tries to avoid the fulfillment of the conditions stipulated by the contract. Non-fulfillment of obligations by Sarajishvili harms our clients, so I decided to protect Optima Group's interests through the court. The suit is ready and will be filed in the court in the coming days, "- said Revaz Beridze from Eristavi Legal Group. Optima Group Inc. was established in 2000 in New York. Optima Group has two subsidiary companies – Mercury West AG (Est. 1997) and Iberwine Spirits Inc. (Est. 2001). Optima Group's founder, CEO and Chairman of the Supervisory Board is Michael Rothmans, who belongs to forth generation of the famous Rothmans dynasty. 02.05.2013 (Hvino News). Georgia's Minister of Agriculture Davit Kirvalidze has resigned after ten of his staff were detained in a corruption scandal. Mr. Kirvalidze resigned on Thursday taking responsibility for a fraudulent scheme uncovered in his ministry. Police on Wednesday detained ten employees suspected of being involved in fraud in connection with an agricultural voucher program. The vouchers allowed farmers to buy various equipment. Those who are detained are suspected of forging documents about the distribution of vouchers and thereby appropriating part of the money. The suspects may face from 6 to 9 years in jail, but the investigation is not yet finished. Thursday, Kirvalidze informed journalists that he would resign.